According to the 1911 Encyclopædia Britannica, Gordyene is the ancient name of the region of Bohtan (now Şırnak Province). It is mentioned as Beth Qardu in Syriac sources and is described as a small vassal state between Armenia and Persia in the mountainous area south of Lake Van in modern Turkey Corduene must also be sought on the left bank of the Tigris. It has been cited as the country of the Carduchians, a fertile mountainous district, rich in pasturage. The Kingdom of Gordyene emerged from the declining Seleucid Empire and for most of its history, it was a province of the Roman Empire and acknowledged the sovereignty of Rome. From 189 to 90 BC, it enjoyed a period of independence. The people of Gordyene were known to have worshiped the Hurrian sky God Teshub. According to Arshak Safrastian, the Medes and Scythians mentioned in classical Greek literature existed only as preconceived notions. Equating the Carduchi with the Gutians, he adds that the moment the Ten Thousand began to skirt the lower slopes of the Hamrin Mountains, they were in contact with the tribes of Gutium which are presented here as Medes or Scythians. A people called the Carduchoi are mentioned in Xenophon's Anabasis. They inhabited the mountains north of the Tigris in 401 BC, living in well-provisioned villages. They were enemies to the king of Persia, as were the Greek mercenaries with Xenophon, but their response to thousands of armed and desperate strangers was hostile. They had no heavy troops who could face the battle-hardened hoplites, but they used longbows and slings effectively, and for the Greeks the "seven days spent in traversing the country of the Carduchians had been one long continuous battle, which had cost them more suffering than the whole of their troubles at the hands of the king [of Persia] and Tissaphernes put together." They have been also mentioned as Gordi by Hecataeus of Miletus c. 520 BC. Targum, a Rabbinic source of Talmudic period,[when?] consistently assumes Mount Ararat to be located in Corduene, and not in the heart of the Armenian Highland. This region is traditionally identified with the landing site in Deluge mythology. According to Aggadah, Noah landed in Corduene in Armenia. The early 3rd century BCE Babylonian writer Berossus was also of the opinion that Xisthros[context?] landed with his ship in Corduene. Josephus cited the evidence of Berossus as proof that the Flood was not a myth and also mentioned that the remains of the Ark were still visible in the district of Carron,[dubious – discuss] presumably identical with Korduene. In Nashim, the third order of Talmud, Rav Nahman bar Jacob has allowed proselytization of Kurds from Corduene. Jewish sources trace the origins of the people of Corduene to the marriage of Jinns of King Solomon with 500 beautiful Jewish women. According to the Greek historian and geographer Strabo, the region of Gorduene (Γορδυηνῆ, or Γoρδυαῖα ὄρη, "Gordyaean Mts") referred to the mountains between Diyarbakır and Muş. He recorded its main cities as Sareisa, Satalca and Pinaca (northwest of Bezabde), and considered its inhabitants (Gordyaeans) as descendants of the ancient Carduchians. According to him, the inhabitants had an exceptional repute as master-builders and as experts in the construction of siege engines and for this reason Tigranes used them in such work; he also notices the country for its naphtha resources. Ammianus Marcellinus visited this region while on a diplomatic visit to the satrap of Corduene. Eretrians who were exiled and deported by the Persians to Mesopotamia, were said to have taken up their dwelling in the region of Gordyene. According to Strabo the Gordyaeans received their name from Gordys son of Triptolemus, who assisted in searching after Io, and then settled in Gordyaea district of Phrygia. Both Phraates III and Tigranes the Great laid claim to this province. However, it was conquered by the Roman troops under Pompey. The local population (called Gordyeni) did not defend the Armenian rule since according to Plutarch, Tigranes had demolished their native cities and had forced them into exile in Tigranocerta. In 69 BC, Zarbienus, the king of Corduene, was secretly planning for a revolt against Tigranes. He was negotiating with Appius Claudius for Roman help. However the plan was revealed and he was killed by Tigranes. After this, Lucullus raised a monument to Zarbienus and then he took over the region of Corduene. He took part in the funeral of Zarbienus, offered royal robes, gold and the spoils (taken from Tigranes), and called him his companion and confederate of the Romans. After Pompey's success in subjugating Armenia and part of Pontus, and the Roman advance across the Euphrates, Phraates was anxious to have a truce with the Romans. However, Pompey held him in contempt and demanded back the territory of Corduene. He sent envoys, but after receiving no answer, he sent Afranius into the territory and occupied it without a battle. The Parthians who were found in possession were driven beyond the frontier and pursued even as far as Arbela in Adiabene. According to an inscription dedicated to the temple of Venus, Pompey gave protection to the newly acquired territory of Gordyene. Map showing Corduene as a vassal Kingdom of Armenian Empire. Tigran retained Gordyene and Nisibis, which Pompeius withheld from the Parthians. Gordyene belonged to Urartu for about 200 years and to Armenia for about 250 years. Korduq (or Korduk), Kordiq Nerkin, Kordiq Verin, Kordiq Mijin, Tshauk, Aitvanq, Vorsirank (or Orsirank), Aigarq, Motolanq, Kartuniq, Albag. Corduene was conquered again by Diocletian in the 3rd century and the Roman presence in the region was formally recognized in a peace treaty signed between Diocletian and the Persians. Diocletian then raised an army unit from this region under the title Ala XV Flavia Carduenorum, naming it after his Caesar Flavius Valerius Constantinus. Following the defeat of Narseh, the Sassanid King, at the hands of the Romans in 296, a peace treaty was signed between the two sides, according to which the steppes of northern Mesopotamia, with Singara and the hill country on the left bank of the Tigris as far as Gordyene (Corduene), were also ceded to the victors (Romans). The name of the province appears again in the account of the campaign between the Persians led by Shapur II and the Romans led by Julian the Apostate (and after Julian's death, by Jovian). The Romans started to retreat through Corduene after they could not besiege Ctesiphon. In the spring of 360, Shapur II staged a campaign to capture the city of Singara (probably modern Shingar or Sinjar northwest of Mosul). The town fell after a few days of siege. From Singara, Shapur directed his march almost due northwards, and leaving Nisibis unassailed upon his left, proceeded to attack the strong fort known indifferently as Pinaca (Phaenicha) or Bezabde. This was a position on the east bank of the Tigris, near the point where that river quits the mountains and debouches upon the plain; though not on the site, it may be considered the representative of the modern Jezireh (Cizre in southeastern Turkey), which commands the passes from the low country into the Kurdish mountains. It was much valued by Rome, was fortified in places with a double wall, and was guarded by three legions and a large body of Kurdish archers. Shapur sent a flag of truce to demand a surrender, joining with the messengers some prisoners of high rank taken at Singara, lest the enemy should open fire upon his envoys. The device was successful; but the garrison proved staunch, and determined on resisting to the last. After a long siege, the wall was at last breached, the city taken, and its defenders indiscriminately massacred. In 363, a treaty was signed in which Jovian ceded five provinces beyond the Euphrates including Corduene and Arzanene and towns of Nisibis and Singara to the Sassanids. Following this treaty, Greeks living in those lands emigrated due to persecution of Christians at the hands of Shapur and the Zoroastrians. Corduene was a bishop's see since at least 424. In 578, the Byzantine emperor Flavius Mauricius Tiberius Augustus defeated the Sassanid army led by Chosroes I, and conquered Corduene and incorporated it once again in the Roman empire. The Roman army also liberated 10,000 Christian captives of the Sassanids. According to Khwarizmi, Arabs conquered the area along with Nisbis and Tur Abdin in 640. Zarbienus; early mid-1st century BC: A king of Corduene who made overtures to Appius Claudius when the latter was staying at Antiocheia, wishing to shake off the yoke of Tigranes. He was betrayed and was assassinated with his wife and children before the Romans entered Armenia. When Lucullus arrived he celebrated his funeral rites with great pomp, setting fire to the funeral pile with his own hand, and had a sumptuous monument erected to him. Manisarus; ~ 115 AD: He took control over parts of Armenia and Mesopotamia, in the time of Trajan. The Parthian king Osroes declared war against him, which led to Manisarus siding with the Romans. Ardashir; ~ 340s AD: He was against the Christianization of Corduene. Map showing kingdoms of Corduene and Adiabene in the last centuries BC. The blue line shows the expedition and then retreat of the ten thousand through Corduene in 401 BC. 19th-century scholars, such as George Rawlinson, identified Corduene and Carduchi with the modern Kurds, considering that Carduchi was the ancient lexical equivalent of "Kurdistan". This view is supported by some recent academic sources which have considered Corduene as proto-Kurdish or as equivalent to modern-day Kurdistan. There were numerous forms of this name, partly due to the difficulty of representing kh in Latin. The spelling Karduchoi is itself probably borrowed from Armenian, since the termination -choi represents the Armenian language plural suffix -kh. It is speculated that Carduchi spoke an Old Iranian language. 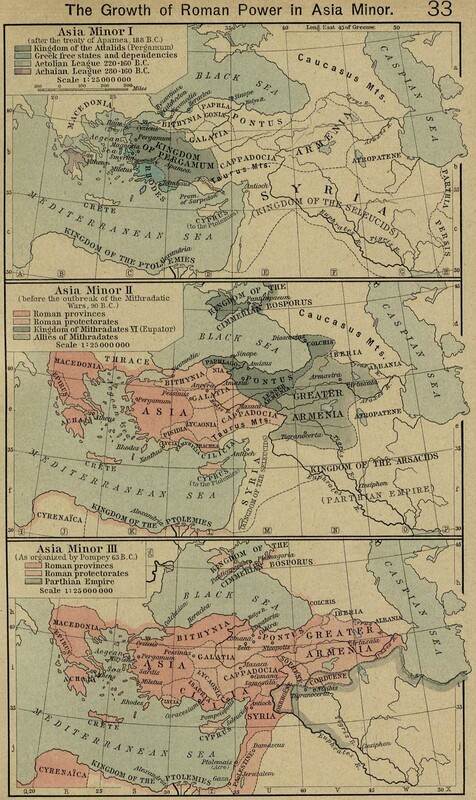 To the Ottoman Empire in 1514. ^ a b Chisholm, Hugh, ed. (1911). "Persia" . Encyclopædia Britannica. 21 (11th ed.). Cambridge University Press. pp. 211–216. ^ "Dictionary of Greek and Roman Geography (1854), CA´BALEIS, CARAMBIS, CARDU´CHI". www.perseus.tufts.edu. Retrieved 2017-03-03. ^ "GORDYS, Greek Mythology Index". Archived from the original on 2008-01-18. Retrieved 2008-03-27. ^ The Life of Lucullus, in The Parallel Lives by Plutarch. ^ T. Frank, Two Suggestions on the Text of Cicero, The American Journal of Philology, pp.459-461, 1937. ^ Lives Archived 2006-05-19 at the Wayback Machine, Chapter 36, Plutarch. ^ G. Gilbert, The List of Names in Acts 2: Roman Propaganda and the Lukan Response, Journal of Biblical Literature, Vol.121, No.3, Autumn 2002, p.514. ^ Grässe, J. G. Th. (1909) . "Gordyene". Orbis latinus; oder, Verzeichnis der wichtigsten lateinischen orts- und ländernamen (in German) (2nd ed.). Berlin: Schmidt. OCLC 1301238 http://www.columbia.edu/acis/ets/Graesse/orblatg.html#Gordyene |url= missing title (help) – via Columbia University. Corduene or Gordyene, Classical Dictionary of Biography, Mythology and Geography. Geography, Strabo, Book XVI, Chapter 1, Section 24. Kurds and Kurdistan[permanent dead link], see section iii History, subsection A Origins and Pre-Islamic History, Encyclopaedia of Islam. The History of the Decline and Fall of the Roman Empire, Vol. 2, Chapter XXIV, Part IV, The Retreat and Death of Julian], by Edward Gibbon. History of Rome, The Establishment of the Military Monarchy, by Theodor Mommsen, page 24. 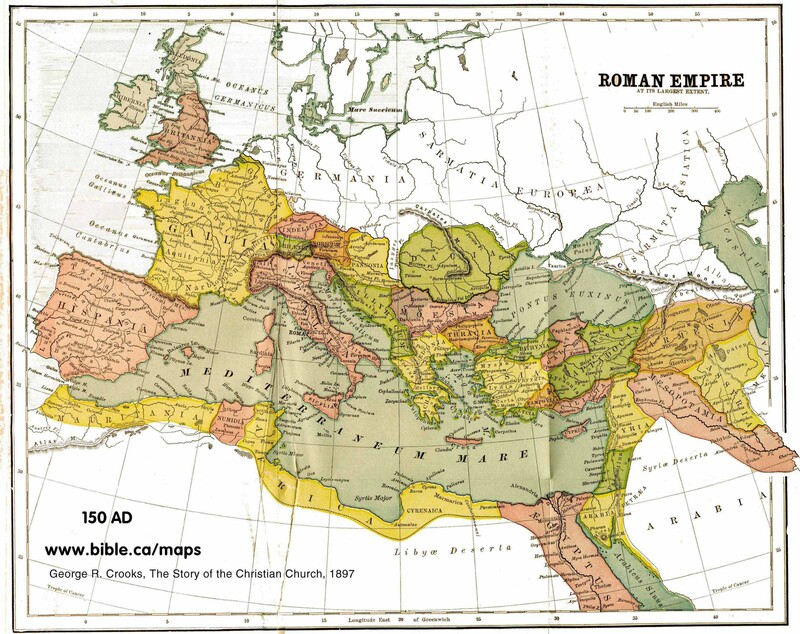 History of the Later Roman Empire, by J. B. Bury, Chapter IV. The Seven Great Monarchies Of The Ancient Eastern World, Vol 7: The Sassanian or New Persian Empire, 1871, by George Rawlinson.